Being one of the very original members of BlueStone Ivory I can’t describe how excited this is to have the band back together after 25 years. Since giving up playing music in 1974, I didn’t think I would ever have this chance again. It’s like a scene out of the Blues Brothers movie…in fact I can recall many times over the past 25 years dreaming of getting a phone call just like the one I got in December of 1998 saying “We’re getting the old band back together”. My music career started as a freshman at Moeller High School. I knew I had music in my blood from early childhood piano lessons and the fact that most of my relatives on my mother’s side play music. Our high school band director said I would be perfect on clarinet. But I wanted to play saxophone. 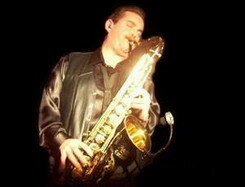 I was intrigued with seeing the sax player at a Lonnie Mack concert in Lawrenceburg, Indiana when I was 13 years old. (Lonnie Mack, The Wham of That Memphis Man is my second cousin) That really impressed me. But, I studied clarinet and shortly there after easily picked up the sax. My first professional group was RENE’S ORCHESTRA. The cute four, Ted Donohoue on guitar, Rick Hagee on piano, Fritzie Schatzle on drums and myself Gary RENE’ Rossignol on clarinet and sax. The four of us grew up together from the first grade at St. Michael grade school in Sharonville. We were cute because at the age of only 14 we played the old standards for weddings and K of C dances. As we entered our late teens, we added players: another sax (Steve Gallant), 2 trumpets (Dan Hunt & Mike Lenahan) a trombone (Bob Hagee), and a bass guitar (Steve Leigh). Rick Hagee added the Hammond B-3 to his keyboards and Mike Russell took over on drums. “Sound On Stage” was born in 1968 and we became BlueStone Ivory early 1970. I left BlueStone Ivory to go on the road with “Chocolate & Vanilla and The First Exit”. That lasted about 2 years and I came home to my high school sweetheart bride Mary Jo in time to become a daddy. After a few years in sound system design and sales, I went on the road as the personal sound engineer for some very prestigious entertainers for the next 10 years. Johnny Mathis, Lou Rawls, Englebert Humperdink, Whalen Jennings, Marvin Gaye, Dolly Parton, Steve Martin, Air Supply, Lawrence Welk, Bob Hope and various other groups. You can hear me on Saturday mornings from 9:00 – 10:00 am on 1480 WDJO AM as I host my own radio show called “The Rock & Roll Real Estate Hour”. My guests and I will rock your world of real estate facts with a flare of entertainment. The show is streamed on the internet at www.1480WDJO.com & podcast on my website. 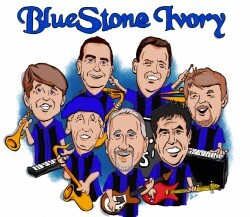 You will always hear a special chosen sound clip of BlueStone Ivory at the end of each show. The Buyers are Knockin cuz my Houses are Rockin. But the music bug just wouldn’t leave me. My first daughter Aimee picked up my flute while in 6th grade and blew notes. She got the music bug and eventually went on and majored in music on scholarship and mastered the flute at Ohio State University. She and her husband Dale have made Mary Jo and me grandparents to Brianna Renee and Andrew Dale. My second daughter Jennifer also played flute and my third daughter Stephanie played clarinet in the marching and concert bands at Lakota West High School. Jennifer has graduated from Columbus College of Art and Design & is working as a package designer at Interbrand here in Cincinnati and Stephanie graduated from UC with a double major in Finance and Accounting. She is employed with Clark Schaefer Hackett a local accounting firm. She will soon have her CPA license. They are noted as the accounting firm for the Cincinnati Reds. All good things don’t have to end.